That would get me at least 20 seconds of viewership, right? Ha Ha, worked for me. I wonder if RSS Readers affect that stat...if the time it takes for the reader to "pull" the feed it somehow averaged in there. Someone may spend a couple minutes reading your post on a reader, but I'm not sure that can factor into your stats. Anyone more knowledgeable about this? I don't really care too much about that time stat, since I bet many people land on the blog from using the random "next blog" button on Blogger. Unfortunately I stayed longer for your turquouse Christmas trees ... OMG what does that say about me!!! 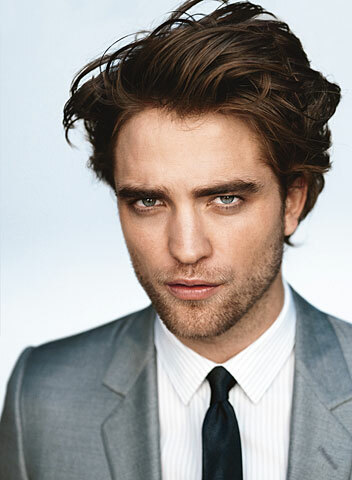 Love me some RPattz... I don't even know how to check Google analytics? It could be people who have you bookmarked checking to see if you've posted? Then if they see that they've already read the first post they leave quickly? Don't worry your blog is great, I like reading it! Just found you today and sure have spent waaaay more than 10 minutes. You're now in my favorites! I bet a lot of that is from web crawler traffic, like Google or Yahoo, indexing your web pages so people can find them when they search. I think an RSS reader operates on more of a push model, but I don't know for sure. Ladies, you all have lots of good ideas about why the info reads that way. I don't worry about it too much, but it's still interesting. I would love to know what is factored into that number, but I just don't have the time to do that much research since I just blog for fun, anyway. And, HELLO to my new readers!! Love your site. Just discovered it through Young House Love. I love all the work you've done on your house -- so amazing! I think I probably upped your google analytics average cause I left your site up all afternoon and kept sneaking peeks throughout the day. Keep up the good work! I don't know much about Google Analytics but I do appreciate that picture! Tee hee. And I still think your blog is well worth the read even without Mr. Pattinson's presence.